Use a non-rotating vacuum cleaner to pull out the dust from the keyboard. 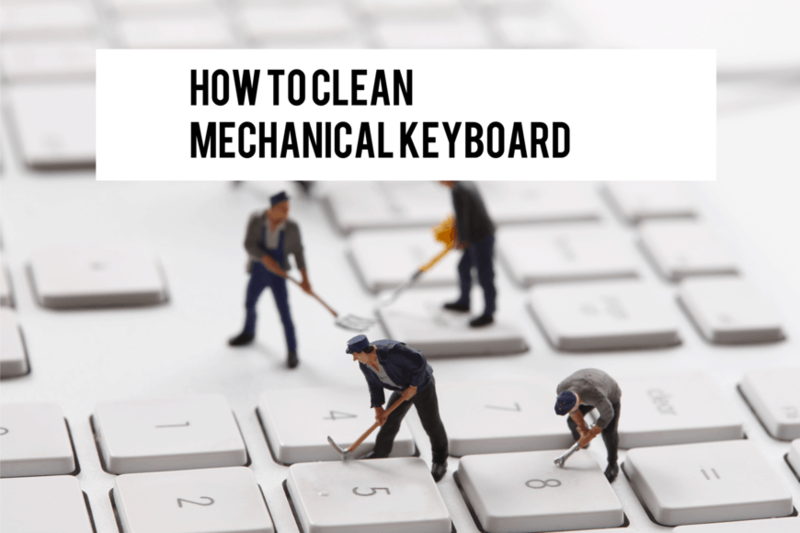 Hover the vacuum cleaner brush down on to the key caps of each key to get the best result. Wipe the keyboard with a damp microfiber cloth. Use a dry delicate cloth to wipe the keyboard of the dampness. Do not use paper towels to wipe since small paper particles shredded from the towel may create problems. Using a key cap puller, pull all keys from the keyboard especially the bigger and longer keys such as space key, enter key etc. with due care. Wipe the key caps with a delicate moist microfiber cloth. Put the keys into a bowl of water with denture cleaning tablets that will remove the grime and oil from the key caps. Soak the key caps for at least six hours and then take them out and put upside down. Use a q-shapes brush to remove the grime and dust binding on to the caps from the key caps carefully. Vacuum clean the caps with a non-rotating vacuum cleaner to get rid of the particles. Wipe the key caps with a moist microfiber cloth. Put the keyboard upside down so that any remaining particle will drop out. Reassemble the key caps onto the key board. Wipe the keyboard with a dry cloth. Suggest using an ultrasonic cleaner available in the stores to remove grime and rugged food particles struck to the keyboard. Soak the keys with water covering them. Pop couple of denture cleaning tablets into it. Once the kay caps are washed off, put them on to evaporate residue water from it. If possible open the keyboard with the help of a screw driver. Vacuum clean the parts followed by wiping with a damp microfiber cloth. Spills are the most dangerous enemy of the keyboard. When a spill is detected on the keyboard, it should not be used with a computer. Although the keyboard can be wiped out with a dry or moist cloth, spill might have entered in to the switches and other parts. Try differed cleaning process. If not cleaned properly, advance cleaning may be attempted. If required, a little bit of soldering may be used.